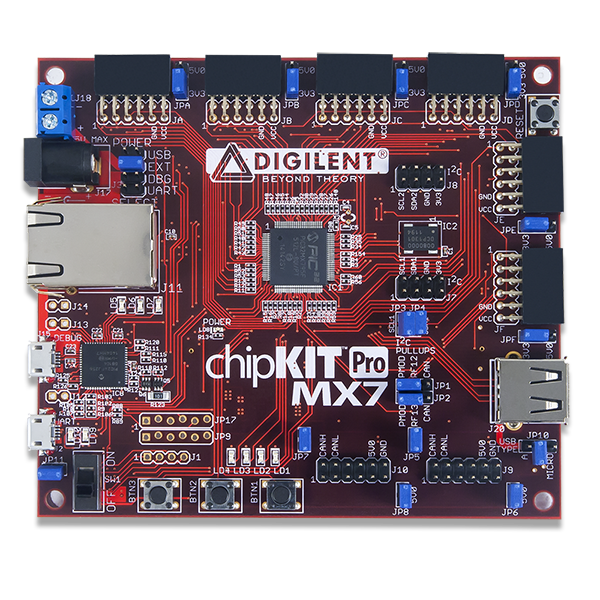 Digilent Pro MX7 is the new name for chipKIT Pro MX7 and Cerebot MX7. 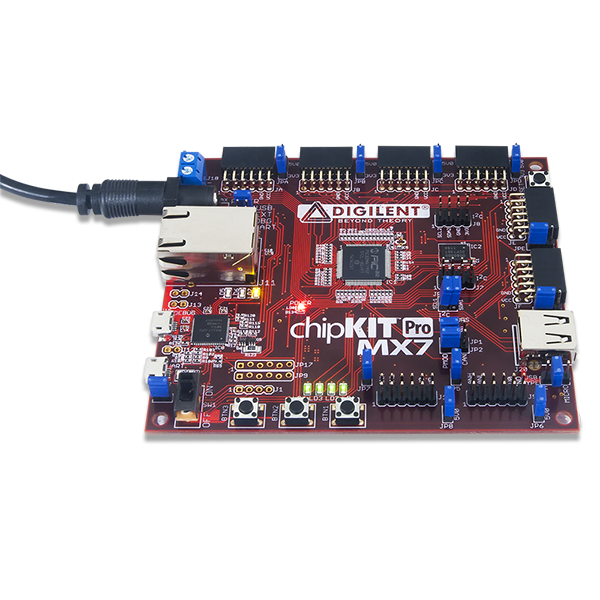 This board retains all functionality of the chipKIT Pro MX7 and Cerebot MX7. 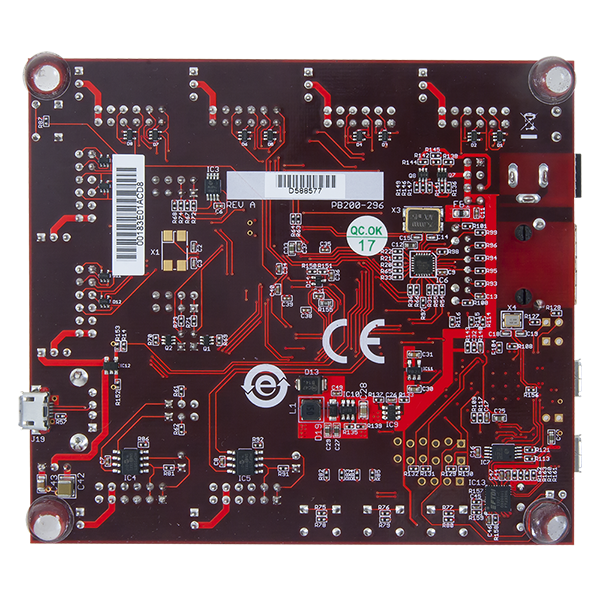 The Pro MX7 is a microcontroller development board based on the Microchip® PIC32MX795F512L, a member of the 32-bit PIC32 microcontroller family. 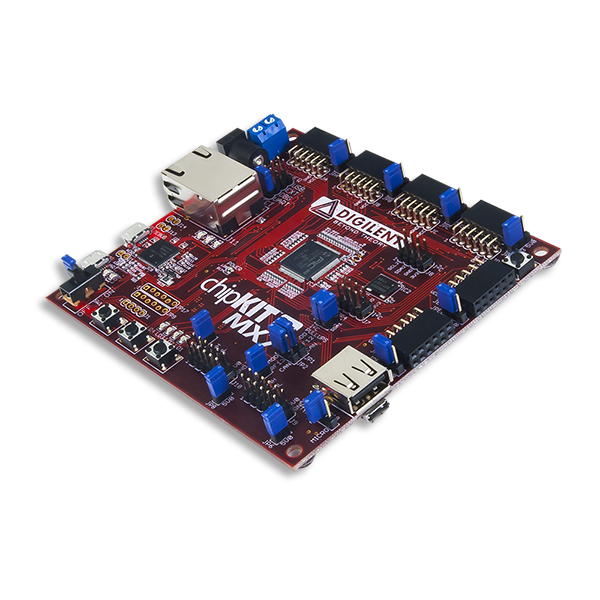 It is compatible with Digilent's line of peripheral modules, Pmods, and is suitable for use with the Microchip MPLAB® IDE tools. 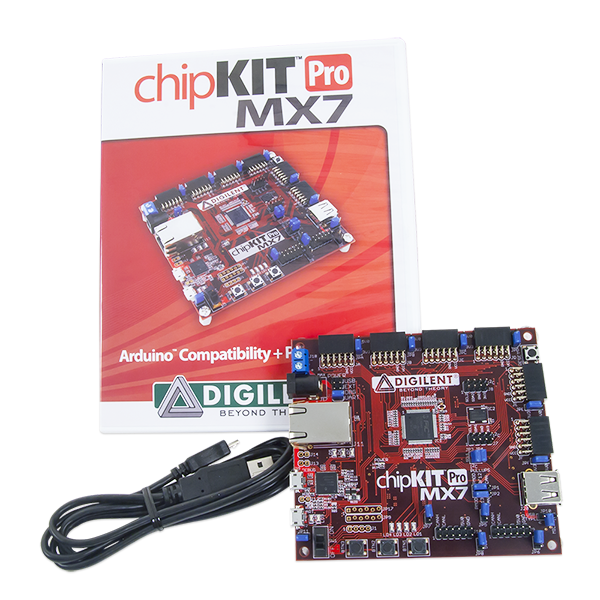 The Pro MX7 is also compatible for use with the MPIDE development environment. MPIDE is a PIC32-based system compatible with many existing Arduino® code examples, reference materials, and other resources. The Pro MX7 is designed to be easy to use and suitable for use by anyone from beginners to advanced users experimenting with embedded control and network communications application. A built-in programming/debugging circuit compatible with the Microchip MPLAB IDE is provided, so no additional hardware is required for use with MPLAB. The kit contains everything needed to start developing embedded applications using either the MPLAB IDE or the MPIDE. The Pro MX7 provides 52 I/O pins that support a number of peripheral functions, such as UART, SPI, I2C™ ports, as well as five pulse-width modulated outputs and five external interrupt inputs. Its network and communications features also include a 10/100 Ethernet interface, Full Speed USB 2.0 OTG interface, and dual CAN network interfaces. Ten of the I/O pins can be used as analog inputs in addition to their use as digital inputs and outputs.